IBPS Result 2019: Below are the latest results published by IBPS - IBPS - Institute of Banking Personnel Selection / ibpsonline.ibps.in. The recent result announced by the organization is SO VIII Mains Exam, Interview Result 2019. IBPS SO VIII Mains Exam, Interview Result 2019: IBPS - Institute of Banking Personnel Selection has announced the Result on 31 Mar 2019 for the exam . 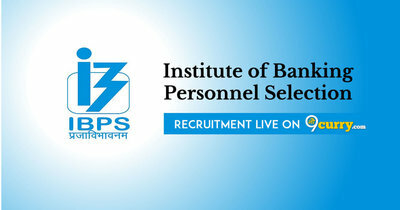 IBPS PO VIII Mains Exam, Interview Result 2019: IBPS - Institute of Banking Personnel Selection has announced the Result on 01 Apr 2019 for IBPS PO VIII Mains Exam 2019 . IBPS Clerk VIII Mains Result 2019: IBPS - Institute of Banking Personnel Selection has announced the Result on 01 Apr 2019 for IBPS Clerk VIII Mains Exam 2019 . IBPS CWE Clerk VII Provisional Result 2019: IBPS - Institute of Banking Personnel Selection has announced the Result on 31 Mar 2019 for the exam . IBPS CWE PO VII Provisional Result 2019: IBPS - Institute of Banking Personnel Selection has announced the Result on 01 Apr 2019 for the exam . IBPS Specialist Officer VII Provisional Result 2019: IBPS - Institute of Banking Personnel Selection has announced the Result on 01 Apr 2019 for the exam . IBPS CRP SPL-VIII Result 2019 (Shortlisted for Interview): IBPS - Institute of Banking Personnel Selection has announced the Result on 25 Mar 2019 for the exam . IBPS CRP PO/ MT VIII Main Exam Result 2019: IBPS - Institute of Banking Personnel Selection has announced the Result on 11 Mar 2019 for IBPS CRP PO/ MT VIII Main Exam 2019 . IBPS Specialist Officer (Mains) Exam Score Card 2019: IBPS - Institute of Banking Personnel Selection has announced the Result on 13 Feb 2019 for IBPS Specialist Officer (Mains) Exam 2018 . IBPS CRP SPL VIII Mains Result 2019: IBPS - Institute of Banking Personnel Selection has announced the Result on 06 Feb 2019 for the exam . IBPS CRP SPL VIII Specialist Officers SO Pre Result with Score 2019: IBPS - Institute of Banking Personnel Selection has announced the Result on 11 Jan 2019 for IBPS CRP SPL VIII Specialist Officers SO Exam 2018 . IBPS CRP Clerks VIII Result with Marks 2019: IBPS - Institute of Banking Personnel Selection has announced the Result on 11 Jan 2019 for IBPS CRP Clerks VIII Exam 2018 . IBPS CRP VIII Specialist Officer SO Pre Result 2019: IBPS - Institute of Banking Personnel Selection has announced the Result on 09 Jan 2019 for IBPS CRP VIII Specialist Officer SO Pre Exam 2018 . IBPS Clerk VIII Pre Result 2019: IBPS - Institute of Banking Personnel Selection has announced the Result on 04 Jan 2019 for IBPS Clerk VIII Pre Exam 2019 . IBPS CRP RRB VI Office Asst & Officer Result 2018: IBPS - Institute of Banking Personnel Selection has announced the Result on 31 Dec 2018 for IBPS CRP RRB VI Office Asst & Officer Exam 2018 . IBPS CRP PO/ MT VIII Main Exam Score Card 2018: IBPS - Institute of Banking Personnel Selection has announced the Result on 27 Dec 2018 for the exam . IBPS CRP RRBs VII Officers Score Card 2018: IBPS - Institute of Banking Personnel Selection has announced the Result on 24 Dec 2018 for IBPS CRP RRBs VII Officers Exam 2018 . IBPS CRP PO/ MT VIII Mains Result 2018: IBPS - Institute of Banking Personnel Selection has announced the Result on 17 Dec 2018 for the exam . IBPS RRB VI Office Assistant, Scale I Reserve List 2018: IBPS - Institute of Banking Personnel Selection has announced the Result on 16 Nov 2018 for RRB VI Office Assistant, Scale I Exam 2018 . IBPS CPR PO VIII Pre Result with Marks 2018: IBPS - Institute of Banking Personnel Selection has announced the Result on 12 Nov 2018 for IBPS CPR PO VIII Exam 2018 .